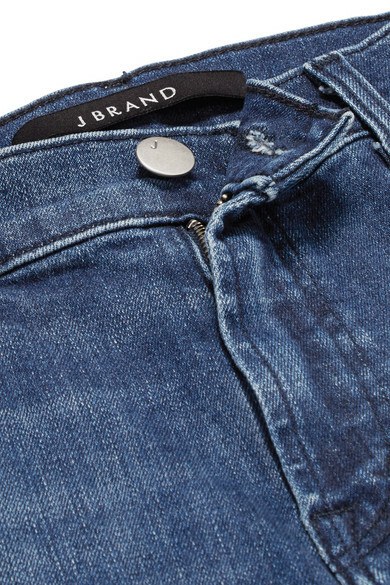 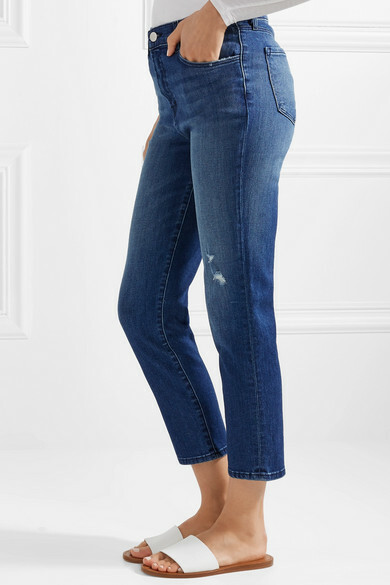 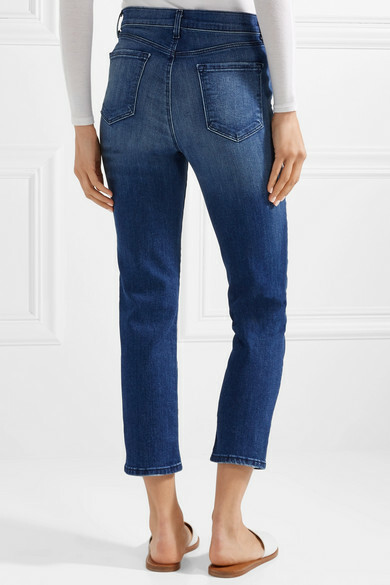 J Brand's 'Ruby' jeans are woven with hint of stretch to not only feel comfortable, but ensure they don't lose their shape through washes and wear. 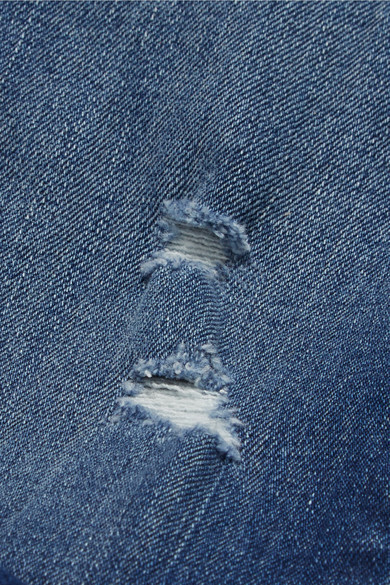 Designed to sit high on your waist, this slim-cut pair is lightly faded and distressed for a cool, lived-in look. 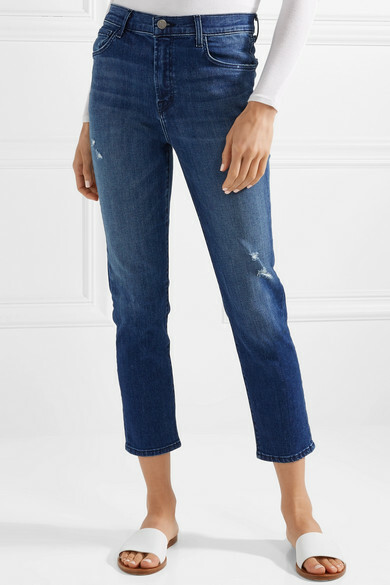 The cropped cuffs are perfect for showing off your favorite slides or sneakers. 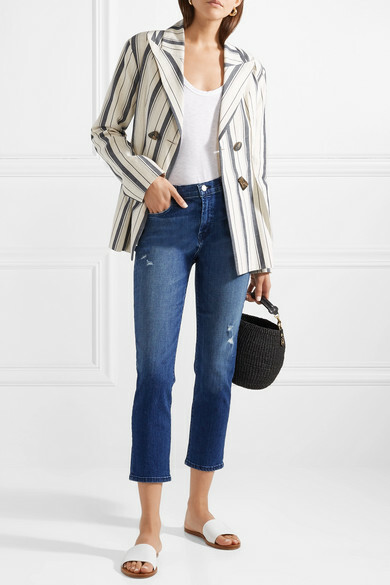 Shown here with: REJINA PYO Blazer, rag & bone Tank, Clare V. Tote, Common Projects Slides, Leigh Miller Earrings.